I watched 9Works Theatrical's premiere presentation Songs for a New World held last April 30 at the Carlos P. Romulo Auditorium at RCBC Plaza. Just like what I expected during this press viewing, we got to meet people from the Media and Theater community who are excited to see the musical. Notable theater personality that attended that night's presentation is the Director/Actor Menchu Launchengco-Yulo of West Side Story and Hairspray, Cara Barredo of Mulan Jr. , Marvin Ong of High School Musical and Batboy Musical and a lot more. After mingling with all he people during the cocktails, we all went inside the theater to watch the show. First of ll the stage is simple and well designed. The platforms provided every characters with varying levels establishing a diverse blockings for everyone of them. Knowing that the show is used to be a song anthology that doesn't really have a story, 9Works Theatrical weaved a story that clearly gave the collection a logical narrative essence. On the the acting side, I wouldn't even try to disagree. For everyone in the cast had already established there reputation and indeed a star on their own right. 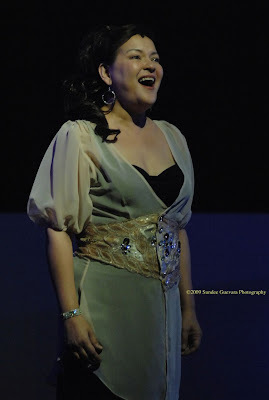 Ms. Pinky Marquez' performance could be one of the shortest but the most memorable. I would not spoil you more because you gotta see it for yourself. Damn that scene is hot. I also want to mention my idol, Felix Rivera. I first saw his performance in AVenue Q and in that moment, instantly I became an overnight fan. His voice and music skills is really superior, proven when the mic malfunctioned (common technical failures on stage), his voice projection didn't leave everyone deaf of his voice. Anna Santamaria on the other hand played her role as a mother perfectly. Despite Anna's young facade, she delivers her performance with a full heart making everyone in the theater feel that she is indeed a mother. Oh by the way, she is indeed a mom right now, and she is married to the Corporate head of 9works theatrical Mr. Santi Santamaria. Yes, don't let your eyes fool you. The rest of the cast also did their part. I find Caisa and Carla very funny on some scenes and Harold despite not feeling well that night performed without any signs of being unwell. 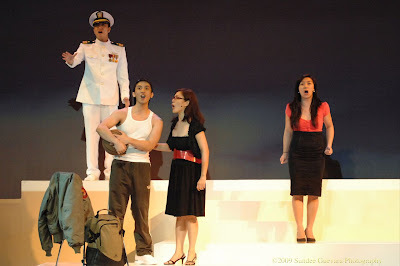 Congratulations to Mr. Robbie Guevarra the Director, Santi Santamaria and 9Works Theatrical for a successful run. Looking forward for future presentations. 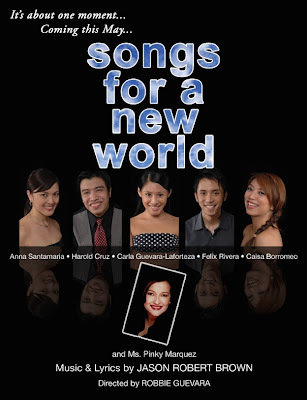 Songs for a New World will be having its last three days presentation on May 8, 9 and 10. Visit this link to know who to contact for the tickets. You can also contact Ticketworld at 891.9999 or visit TICKETWORLD.COM.PH. Don't miss the chance to watch this musical, get your tickets now and see you at the theater. Special thanks for Peachy Atilano and Mr. Toots Tolentino for inviting me and my fellow musical lover bloggers to this wonderful presentation. hey! congrats on your new domain!!! I wasn't able to watch BatBoy due to busy schedule back then but Marvin do invited me to watch. I'm so happy for Marvin Ong! Go batchmate! :) Xavier reprezent!